In the end, Friday's royal wedding was a complete success: over 2 billion TV viewers, over a million people on the streets of London and 500,000 in front of Buckingham Palace, countless Twitter and Facebook updates about the wedding… It was the biggest event of 2011 and hey, even the unpredictable British weather was nice. In some ways the royal wedding was similar to Oscars, Grammys, Baftas… and other glamorous events. If you were invited, you had to wear something fascinating, but not too extravagant or even inappropriate. The event was a chance for attendees and their designers to shine on a big (if not unprecedented) stage. The spotlight was of course on the Kate Middleton, the future Duchess of Cambridge. Kate was wearing McQueen also for the evening celebration, but she wasn’t the only success for Sarah Burton. 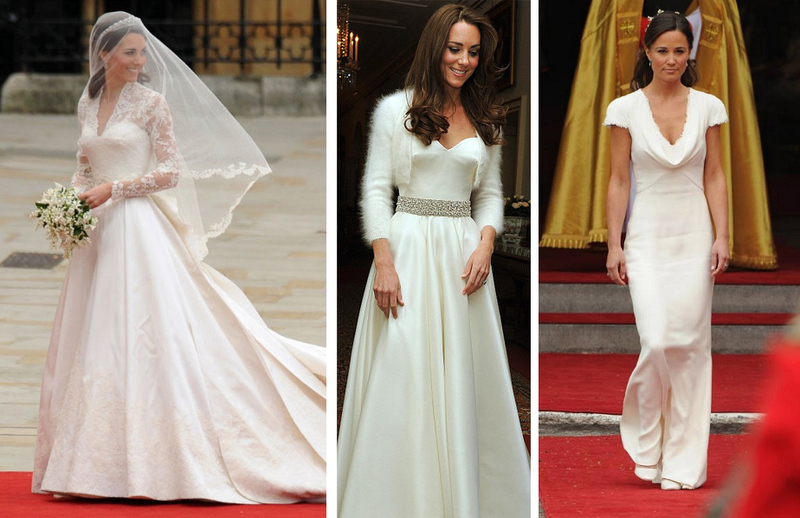 One of the “winners” of the royal wedding was Kate’s sister and bridesmaid Pippa Middleton, who was also wearing Burton’s creation. Enough about Beckhams. Let’s check the cars. 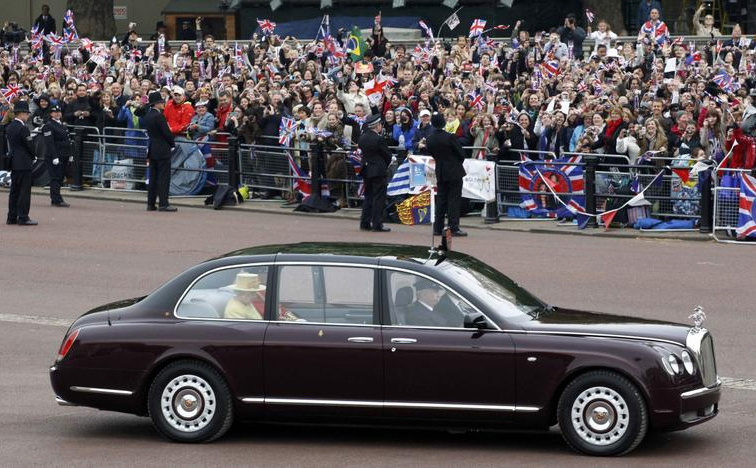 II and her husband, Prince Philip, also used Bentley from the royal car-park. 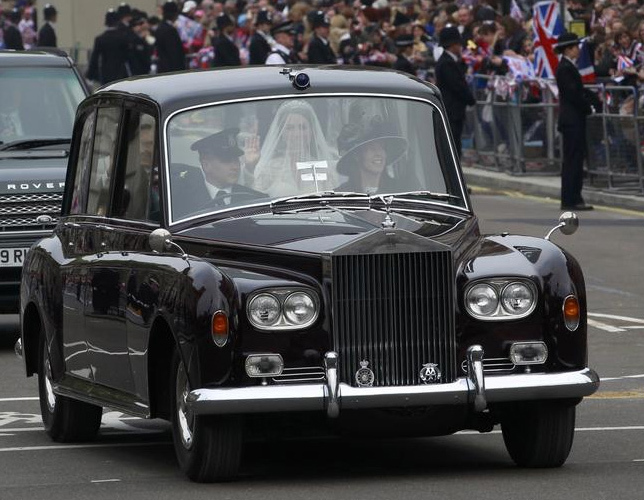 However, Kate chose to ride with her father in the Queen's classic 1977 Rolls-Royce Phantom VI. This custom-built limousine with a raised roof and other special features was presented to Queen Elizabeth II on her Silver Jubilee in 1977 and was her primary vehicle until she switched to newer Bentley models in 2002. 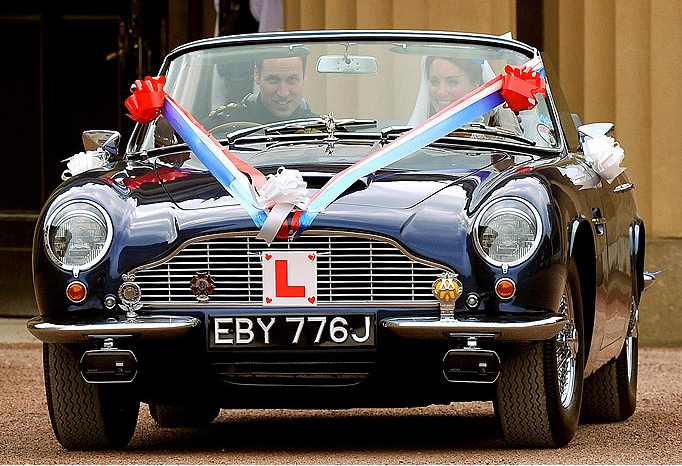 After the wedding Prince William borrowed his dad's vintage Aston Martin Volante DB6 MKII convertible as he drove his new wife to Clarence House, his official residence. There was another, not so upscale and luxurious brand, which was visible at the royal wedding. 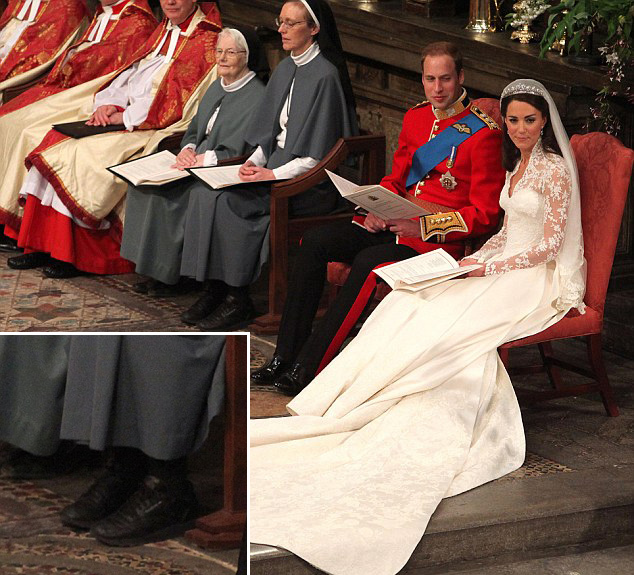 One of the two nuns that were sitting beside newlyweds was wearing black Reebok Classics trainers underneath her traditional outfit. Daily Mail even joked that one of the woman was a secret 'ninja nun' intended to protect the Royal couple. Some of the brands, mentioned in the text received a lot of positive publicity, namely Alexander McQueen. It’s great to be associated with such a positive and glorious event, but the hardest part is to get something meaningful out of it. Also very much mentioned a Cartier tiara and Philip Treacy hats..